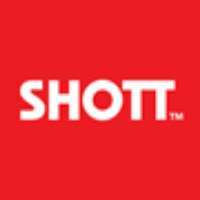 Shott Beverages, a food and drink manufacturer located in Brendale, manufactures and serves premium-quality real-fruit syrups in Brisbane such as fruit concentrates, coffee syrups and so much more. Shott Beverages began in 2006 when the Louissons (with the help of close family and friends) transformed their fresh juice company Nectar Juices into a beverage concentrate business. Shott Beverages in Brendale makes premium-quality real fruit syrups that both create and enhance a range of hot & cold adult beverages. Our products are fruit concentrates, coffee syrups, chai concentrate, and chocolate & sugar syrups. We do this by capturing the intensity of real fruit flavours as nature intended. For enquiries and more information, don't hesitate to call Shott Beverages today.